If these signs and symptoms are present consult your doctor. An unusually severe headache that is "worst ever"
symptoms related to higher mental function like confusion, decreased alertness or memory etc. 1. TENSION HEADACHE It is usually mild to moderate in intensity. But occasionally become severe. The typical tension headache produces pain like a band squeezing the head. The shoulders and neck can also ache. Muscle contractions and tension in the face, neck or shoulders can cause headache. It can be triggered by fatigue, emotional stress etc. Mostly last for 20 minutes to two hours. It is not associated with any disease related to brain. Try this – A heating pad or warm shower may help; some people feel better with a short nap or light snack. If you get frequent episodes of headache, try to identify the triggers so you can avoid them. Prevention – Stress management is very important and effective. Practice relaxation techniques including deep breathing, yoga, meditation and progressive muscle relaxation. Live a healthy lifestyle – Eat balanced diet, drink plenty of water, do regular exercise, get enough sleep; avoid smoking, use of alcohol, caffeine and sugar. 2. MIGRAINE Migraine is considered as a neuro-vascular disorder having a complex series of neural and vascular events that initiates the headache. It is much more severe than tension headache. In typical cases, the pain is on one side of the head, often beginning around the eye and temple before spreading to the back of the head. In the prodromal phase, there may be symptoms like mood swings, food cravings, yawning, irritability etc. Some, migraine begin with one or more neurological symptoms called an ‘aura’. Visual symptoms during aura include appearance of floaters, flashes of light or blurry vision. Pain will be pulsating in nature and may be associated with photophobia, phonophobia, nausea and vomiting. Symptoms of the postdrome phase include fatigue, weakness etc. Check for these triggers: Changing weather like rise in humidity or heat, lack of sleep or oversleeping, emotional stress, sensory triggers (bright lights, loud noises, strong smells), dietary triggers (particular food or drink, missing a meal, use of alcohol), Monosodium glutamate – MSG, (often present in the foods items of restaurants and artificial flavors) etc. Prevention – Try to find out the triggering factors and avoid them. Treatment – Ignoring the attacks of migraine will increase both the frequency and intensity of pain. Early diagnosis and treatment will help to get a complete relief from migraine. By using analgesics, only short-term relief is obtained and the pain can rebound. Also those medicines are not advisable to be used for a long term as they can hamper body’s natural pain relief mechanism and can damage kidneys, liver or other vital organs. Ayurveda can give you good relief from migraine. There are very effective internal medicines that can cure the problem. Ayurvedic treatment procedures will help to give long lasting results and prevent the recurrence of migraine. The important treatment principles of migraine include detoxification, maintaining the equilibrium of tridoshas, strengthening of the nervous system and ensuring proper blood circulation to the brain. 3. 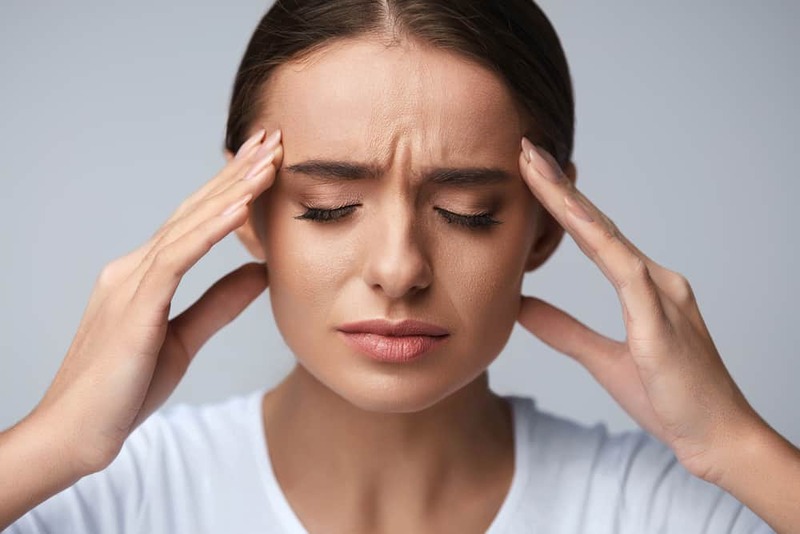 CLUSTER HEADACHES Cluster headache is a neurological disorder characterized by recurrent, severe headaches on one side of the head, typically around the eye. It is often accompanied by watering of eye or swelling around the eye or nasal congestion on the affected side. Even though anyone can get cluster headache, it is usually seen in a middle-aged man with a history of smoking. Cluster headaches last for shorter periods of time with many episodes of headache in a day. They cluster for about two weeks to three months often at the same time of year. A cycle or cluster occurs on one side of the head, but subsequent clusters can switch sides. Try this – A heating pad or warm shower may help; some people feel better with a short nap or light snack. If you get frequent episodes of headache, try to identify the triggers so you can avoid them. Prevention – Strictly avoid smoking and use of alcohol. Regular breathing exercises, good exposure to fresh air, relaxation techniques like yoga, meditation etc. can relieve the symptoms of cluster headaches. 4. SINUS HEADACHE Acute sinusitis (inflammation of the sinuses due to allergies, infections etc.) may decrease the mucus drainage, thus increasing the pressure within the sinuses. This will lead to sinus headache. There will be pain over the forehead, temples, around the nose and eyes, over the cheeks, or in the upper teeth. Stooping forward increases the pain. Associated symptoms like fever, cough, thick nasal discharge and congestion, point towards sinusitis. Here the treatment for sinusitis that resolves infection will cure the associated headache. If you get a severe headache, diagnose it correctly so that you can start the right treatment plan for the same. A detailed description of your symptoms, duration, aggrevating and alleviating factors if any, along with physical examination will help to diagnose your headache. In most cases, special diagnostic tests are not required. Despite treatment, if your headache is not relieved, advanced radiological investigations like CT scan, MRI scan etc. are advised.